troll hunter – Winning. Words. The Monster: Trolls of various shapes, sizes and temperament. They have one thing in common – they hate humans. A lot. 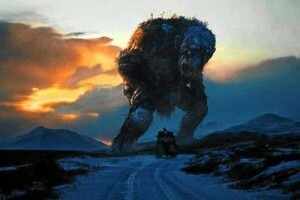 The Movie: Norwegian mock doc that follows weary troll hunter Hans (Otto Jespersen). He’s sick of doing the government’s dirty work, so agrees to be filmed going about his business – with both horrific and hilarious results. Coolest Detail: A troll can smell out a Christian man in the wild, no matter how far away he is. Now that’s one sensitive nozzle.